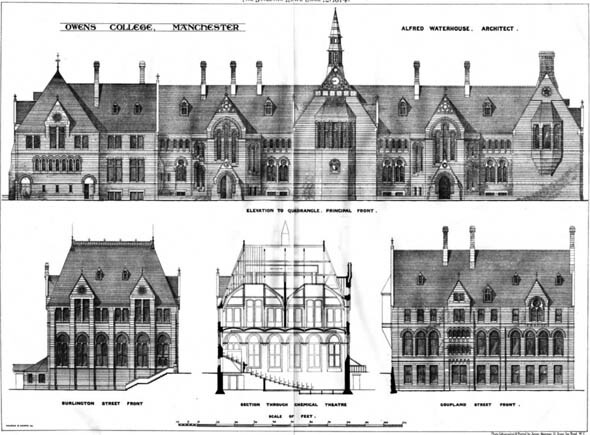 John Owens, a Manchester textile merchant, bequeathed £96,942 in 1846 for the purpose of founding a college for the education of males on non-sectarian lines. 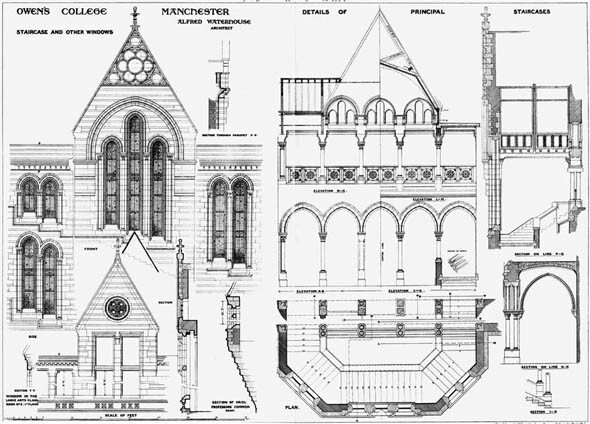 Owens College was established and granted a Royal Charter in 1880 to become England’s first civic university, The Victoria University of Manchester. 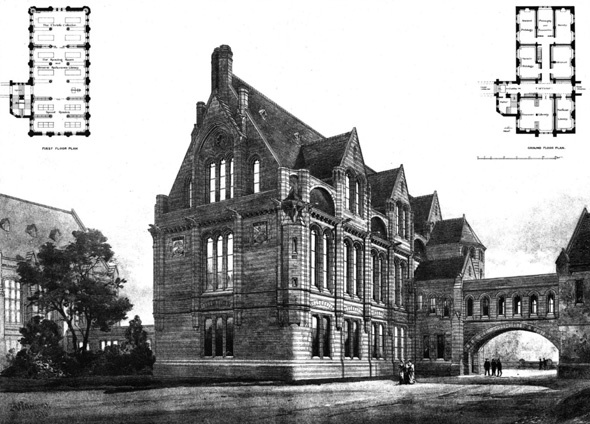 In 2004 it merged with UMIST to create the University of Manchester. The emblem of the University in use for a number of years (last used September 2004) was based on the archway into the quadrangle from Oxford Road where there used to be a set of coats of arms relating to the history of the component colleges on the gates.